It seems the dirty rats have contingency plans in place should they be forced out of their dens in the DC sewer, and they include a direct confrontation between the shadow government and the public one we elected. The Obama-Clinton-Soros Mafia is going to protect their power and their turf, and it seems they’re sending the message that they’ll do whatever it takes to do so. 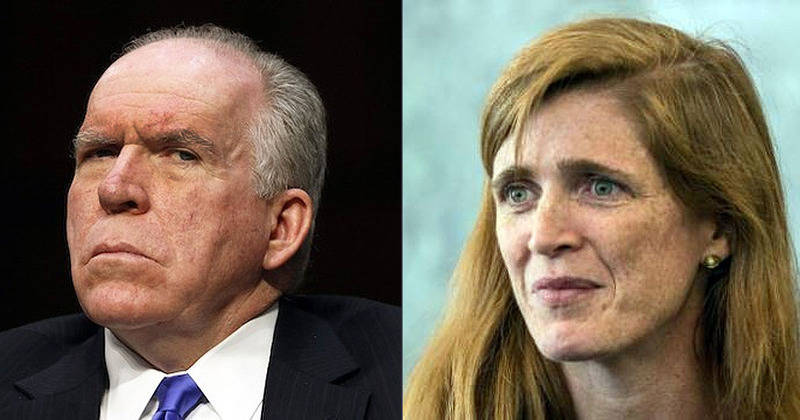 Now that the evidence is coming out and the indictments seem more likely, the Obama thugs are turning up the volume on their threats, with Obama’s unmasking specialist, former UN Ambassador Samantha Power now issuing a similar warning to President Trump. Power sent out a tweet after former CIA Director and Obama tool John Brennan responded to a President Trump tweet celebrating the firing of dirty cop Andrew McCabe. Brennan is also one of those with plenty to cover up and he’s held a most powerful position in the swamp. He’s one of those Schumer was talking about. Brennan had earlier sent a tweet sounding somewhat like a cross between an imam and Obama Mafia henchman, which may in reality be exactly who and what he is, stating, ” When the full extent of your venality, moral turpitude, and political corruption becomes known, you will take your rightful place as a disgraced demagogue in the dustbin of history. You may scapegoat Andy McCabe, but you will not destroy America…America will triumph over you. Dustbin of history is one of Obama’s favorite lines, a reminder that the entirety of their corrupt regime is still in this together. And how is it that exposing a plot to overthrow the President of the United States and holding a corrupt, lying FBI official accountable for the role he played in it is scapegoating anybody? Only a hopelessly perverted and immoral state criminal could misjudge the criminal actions of another in such an egregious manner and do it so publicly while at the same time directly attacking the character of the President of the United States. Clearly the rats are nervous, they know their ship is taking on water. As for his America and the declaration that the communist globalist state of his leader, Hussein Obama, will triumph over the America of the people, and the leader we elected, President Trump, it seems Brennan may be getting a little ahead of himself. The continuation of that corrupt illegitimate attempt to subvert our nation has been thrown out with the loss of crooked Hillary Clinton, although the prospect of the midterm election do inject a sense of urgency into the need to expose the Obama corruption. 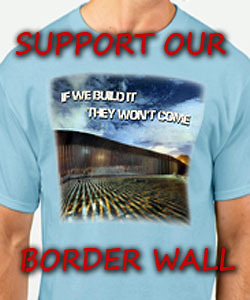 We cannot afford for the House to fall back into the corrupt hands of the global communist Dems. Power and Brennan’s threats and attempts to intimidate people into silence aren’t going to have the intended results. They only serve to reassure those scrutinizing them that they’re on the right track. They both just made that perfectly clear. They need to be under surveillance by the Secret Service and the same intelligence agencies they previously used as weapons against this nation. Add James “not wittingly” Clapper into the mix along with them. John Brennan : No…America will triumph over you! The covers will be pulled, so you can stop hiding behind your flag waving. I would have to believe that treason, certainly subversion, are crimes punishable by death. Unless that follow a thread to the top, giving immunity for the death penalty if they give up the higher criminals, right to the big0 nothing will happen. Doesn’t look like Sessions will prosecute, and Trump either doesn’t care, beyond tweeting, or is enabling it. Soros 2020? The way this country is going he could win. More psychological projection from these commie arses. They attack Trump for what they themselves actually are. Same ole program, Hillary and the rest of the Dems are excellent at doing this, claiming their enemy is doing what they are doing. All of them are disgusting, and the brain dead liberals in this country are too damned stupid to see it. Gag me! The whole damned FBI is corrupt Brennan, and so are you! Make arrest of these traitorrs and put them away for good. It is obvious what the plan is to destroy or kill him. Can we just sit back and let that happens????? if the President needs our HELP? all he has to do is just say so, and put on his Commander In Chief Cap and MILLIONS OF US WILL SHOW UP ASAP. THIS CORRUPTION AND TREASON HAS TO END, ONE WAY OR ANOTHER. and i make THIS PROMISE, that if ANY HARM comes to OUR DULY ELECTED PRESIDENT THIS GOVT IS DONE, WE THE PEOPLE WILL RISE UP IN MASS AND REMOVE ALL THOSE TRAITORS AND CRIMINALS FROM EXISTENCE. that’s NOT A THREAT THAT’S A PROMISE. That’s why their all pushing for the gun grabbing, James. All these States and Courts pushing. I Pray American’s are Smart not to adhere to their demands. Know your 2nd Amendment Rights, America. They were put in place for a very good reason. Whatever You have to Protect Yourself and Your Family shall Not be infringed. The criminals will still have their weapons and Security.